Warren R. Sacks is a Senior Partner with the accounting and litigation consulting firm of White, Zuckerman, Warsavsky, Luna & Hunt, LLP. 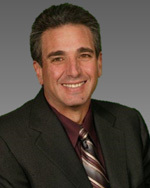 Mr. Sacks is a Certified Public Accountant and has been practicing forensic accounting since 1985. He has experience in the preparation of business valuations, perquisite analyses, standard of living reports, community property balance sheets, reports on the gross cash flow available for support, tracing and reimbursements, and the analysis of financial statements and tax returns. Mr. Sacks has testified in the Superior Court of California as an expert witness in family law matters. Prior to joining White, Zuckerman, Warsavsky, Luna & Hunt, LLP, Mr. Sacks was a staff accountant with the accounting and litigation firm of Stein & Cohen where he performed litigation consulting services primarily related to marital dissolutions. Mr. Sacks received his Bachelor of Science Degree in Accounting Theory and Practice from California State University, Northridge. He is a member in good standing of the AICPA and holds the AICPA’s CFF designation (Certified Financial Forensic). Mr. Sacks has passed all four exams in business valuation given by the American Society of Appraisers.